The EPA’s All Appropriate Inquiry rule and the ASTM E1527-13 standard require that each site is researched for Environmental Liens and Activity and Use Limitations (AULs) as part of a Phase I Environmental Site Assessment (ESA). These types of documents are recorded in various government repositories. 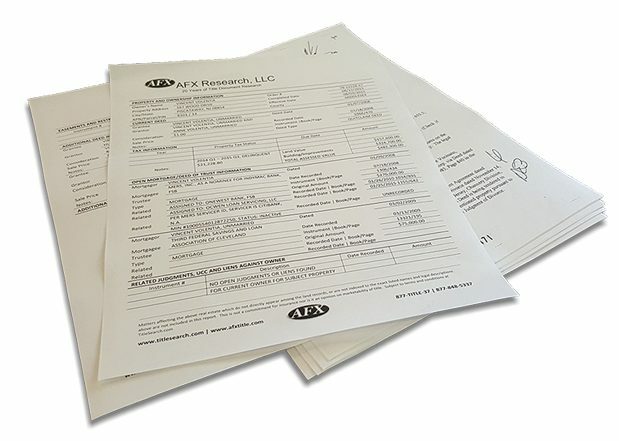 AFX researches documents located at the City, County, State and Federal levels when conducting an Environmental Lien and AUL report. We will research the property using both Grantor/Grantee indexes, as well as documents recorded against the subject parcel, from the point the current owner purchased the property, to present. AFX’s Environmental Lien and AUL reports are provided for 1,000+ sites monthly. The reports are intended to be used as part of a Phase I ESA.